A guest review of my StreetPan film by EMULSIVE. This is really good feedback for me. I am learning more and more about how people use StreePan, and pieces like this really help. Check it out. It would take a complete idiot to start off an article stating that the availability and variation of film stocks these days is a mere fraction of that during the so-called “golden age” of film…but there you are, I did it. 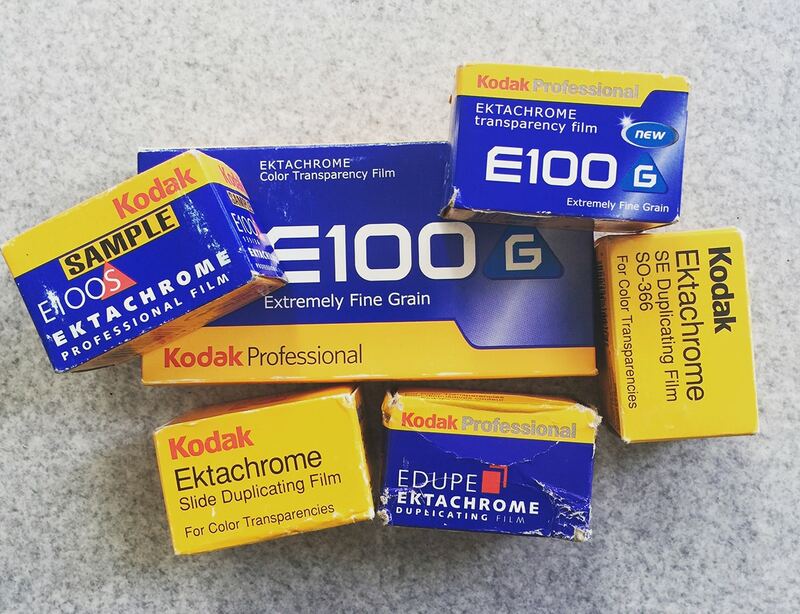 The quality of remaining available films stocks in terms of sharpness, latitude, rendition and flexibiity is probably the highest it’s ever been…ever. I fully understand that the loss of Kodak’s slide films was a hard one to bear, and the slow transformation of Fuji’s entire offering into digital filters is horrible to witness but in terms of choice meeting quality, there’s still so much to choose from. So, in March 2016 when Bellamy Hunt aka the seemingly omnipresent Japan Camera Hunter announced (on his birthday!) that he was bringing a new film stock to the market, my ears pricked up. 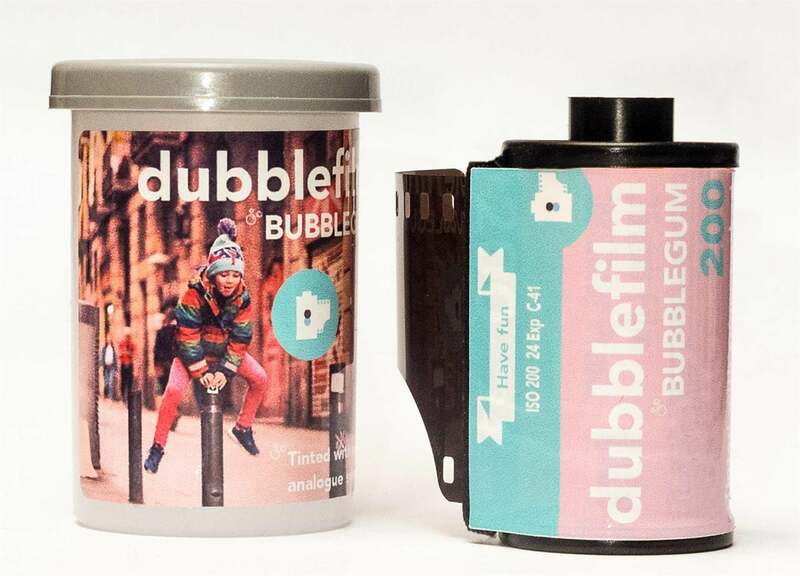 Let me be clear: this isn’t a new film stock. Bellamy himself states that it’s a discontinued surveillance film that he’s bringing back into production. In simple terms, even if you’ve shot most film stocks over the past 20 years, odds are that you won’t have shot this. 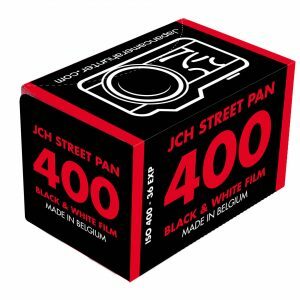 In a post-digital world where every recent new black and white film has been a rebadge of an _existing_ and generally available stock – Lomography, Fotoimpex, Oriental, I’m looking at you all – JCH StreetPan 400 is a welcome addition. Before I get into the review below, let’s cover off some quick technical info. 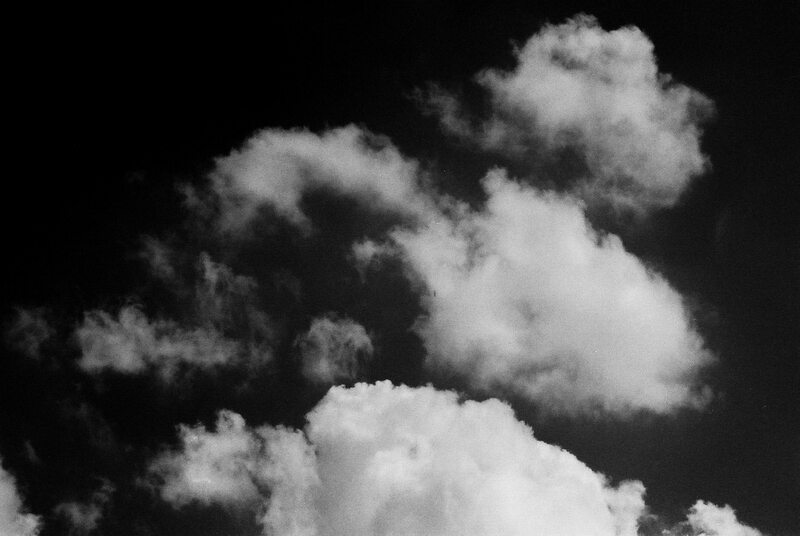 Ok, so I didn’t shoot my first roll of this film strictly as it was intended. 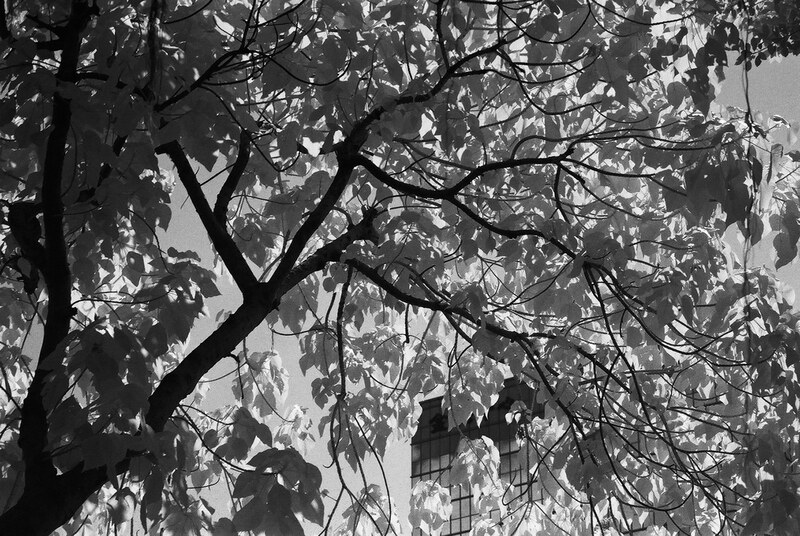 As you’ll note from the headline, this is a review of JCH StreetPan 400 as an infrared film. There’s a good reason for this; Bellamy’s introductory article mentioned that StreetPan 400 was sensitive to infrared light up to 750nm. Being a little bit of an infrared photograhpy fan, I eventially decided that my first roll should be shot as such, so I grabbed my Leica M6, 90/2.8 lens and an R72 filter. Whilst this film can achieve a Wood Effect with a standard Red 25 filter, my advice would be to use a dedicated 720nm filter, such as an R72, or Wratten 89B to get the strongest effect possible. My M6 has TTL metering, so I set the ISO dial to 400, waited for the appropriate conditions and went to find an suitable location to shoot. 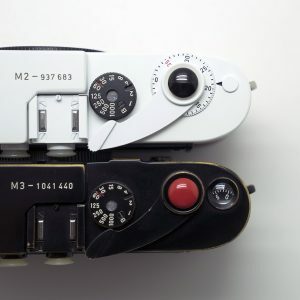 As an aside, had I not been using a camera with TTL metering, I would have simply metered at EI 12. If you’re planning on trying this for yourself I would strongly advise you to be sure of your own R72 filter’s filter factor. I own three and they cut light anywhere between five and six stops each. – The sun is behind you. You want the sun to bathe your subject in IR light, so keep it to your back. – Try to shoot when there are few or no clouds in the sky. The more cloud cover, the less IR light you’ll have bouncing around. – Try to shoot from the shade. It may not always be practical but keep this in mind to get the best effect. – Shoot flora and manmade objects that will reflect IR light. 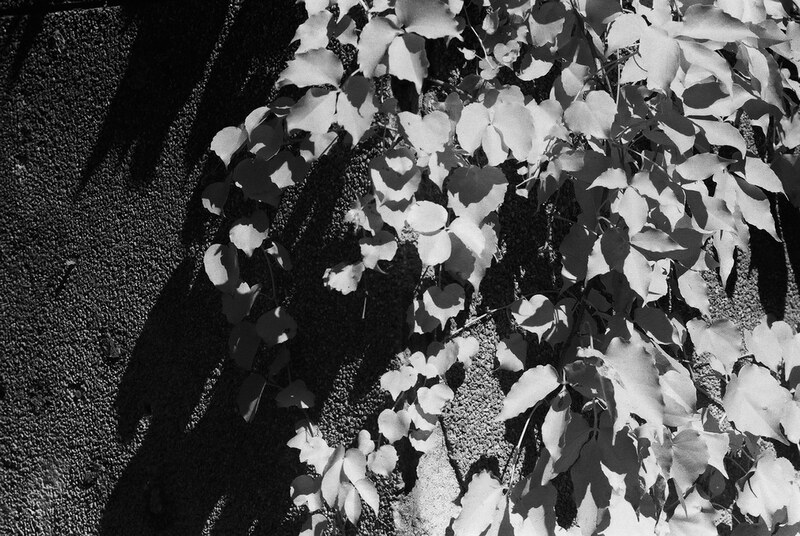 Leaves and grass are the obvious choices but try to break up your images with things that won’t reflect IR light…things get boring otherwise. – It’s tempting but try not so shoot straight up into trees. The amount of IR light not absorbed by leaves, etc., will be diminished. Be sure to try but give yourself an extra stop of exposure, or meter for the darkest patch you can find. This will be hit and miss but is a great learning experience for future rolls. – Shooting with a lens shade is optional but I’d recommend it if you’re shooting under strong light. – If you can, cover your camera while making exposures longer than 1/15 sec. Cover or lock-out your finder, dark slide slot, etc. For “normal” exposures at 1/15 second or more, you won’t need to worry so much. 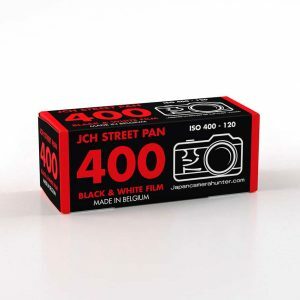 – As StreetPan is “merely” and IR-sensitive film and not a true IR film, you needn’t take precautions with loading the film in subdued light. If you happen to want to shoot some IR film after this, go ahead and load in the shade…unless you’re shooting Kodak HIE, in which case total darkness and a tinfoil hat are recommended. – the same goes for using a camera with DX coding sensors and IR lights for counting frames. Don’t worry about it for StreetPan (or in fact, Kodak EIR). If you’re shooting HIE, then use a fully manual battery-less camera. – Don’t expect a roll filled with keepers on your first try and bracket your shots one stop over what your filter/meter tells you. Two words: incredibly pleased. 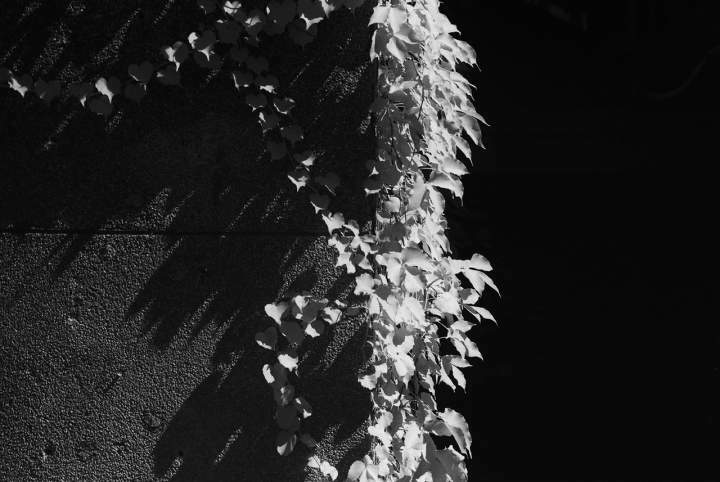 It may not be my go to for IR film but JCH StreetPan 400 produces some wonderful results. I’ve seen many reviews of this film over the past few months and as a pure black and white stock, I have to say that it suits my style of high contrast and relatively fine grain down to the ground. Shot as IR, the grain is surprisingly clean, crisp and not distracting: exactly what an IR film should be. It’s close in quality to Rillei IR 400 but doesn’t have the same “punch” you get with that particular stock. 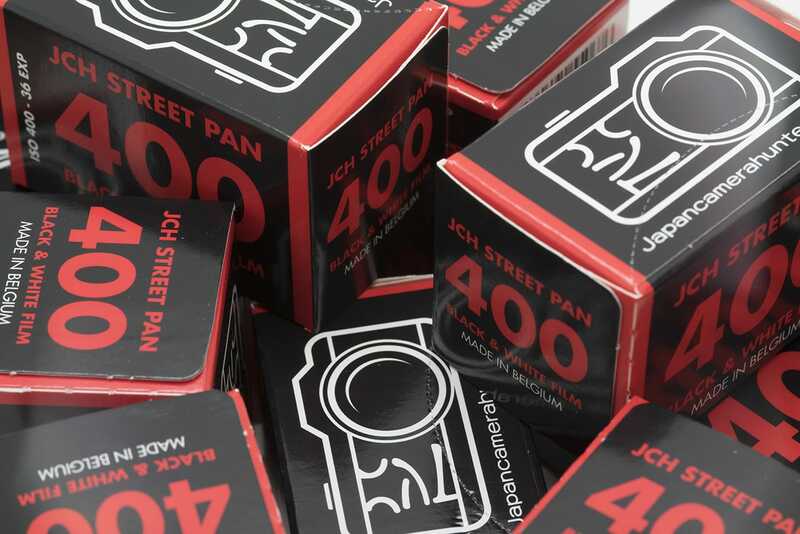 Sadly, unlike Rollei IR 400, JCH StreetPan is not (yet) available in 120 format. Only time and constant badgering of Bellamy will tell on that front. 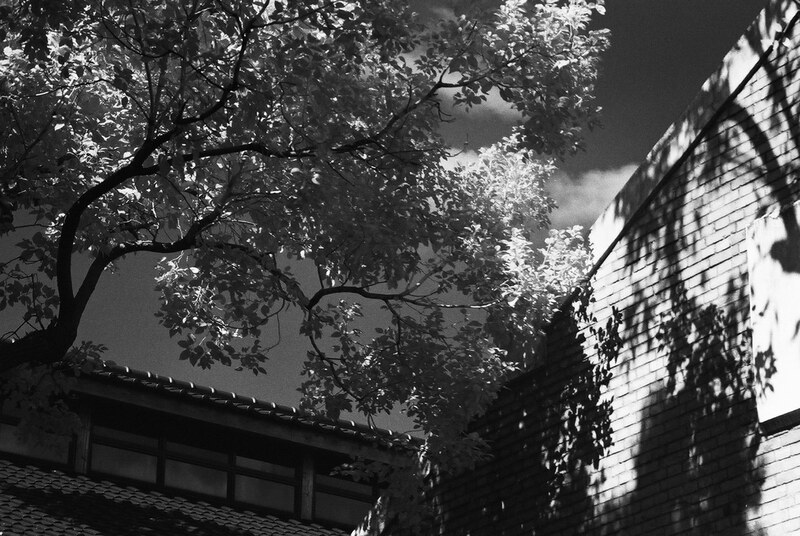 In short, the fact that JCH StreetPan is not a true IR film make the results both surprising and very welcome. I’d be happy to shoot this film as IR all day long but remember, this is only my first roll and I’ve yet to shoot it normally first hand. 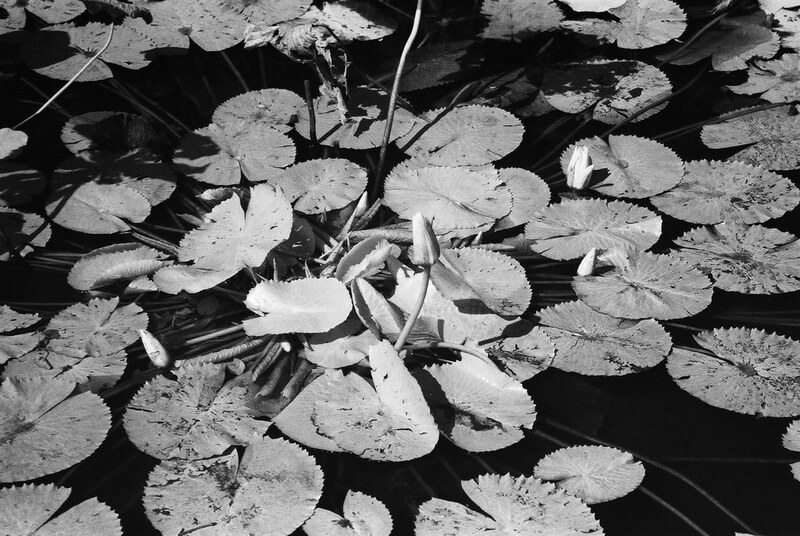 I developed this roll at the recommended 20C for 6 minutes in HC-110B (1+31). For my money,I’d say that it could probably do with a little bump, or equivalent exposure at EI 320. I hope to try Ilford DD-X for my next roll, which will most likely be pushed just a tad. Forgetting that this is essentially a new film to most people for a moment, from other online reviews alone, I’d say give it a shot. It has a very specific look to it and one which I love. It seems to deal very well with being pushed and retains that lovely high contrast look. Treating it as a purely IR film I would also say that you should give it a shot, even if it’s for curiosity’s sake. 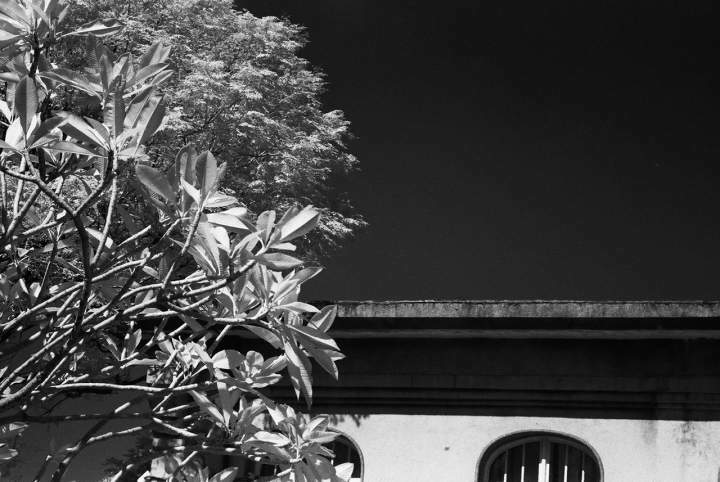 It’s a great introduction into the world of IR photography. 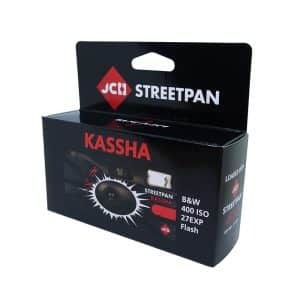 Easy to shoot, easy to use and easy to develop. Seriously, it’s not fussy at all…unlike Bellamy, who seems strangely resistant to my idea of ditching all those Leicas and Japanese cameras and make a move to Russian ones instead. In Russia, the camera shoots YOU. 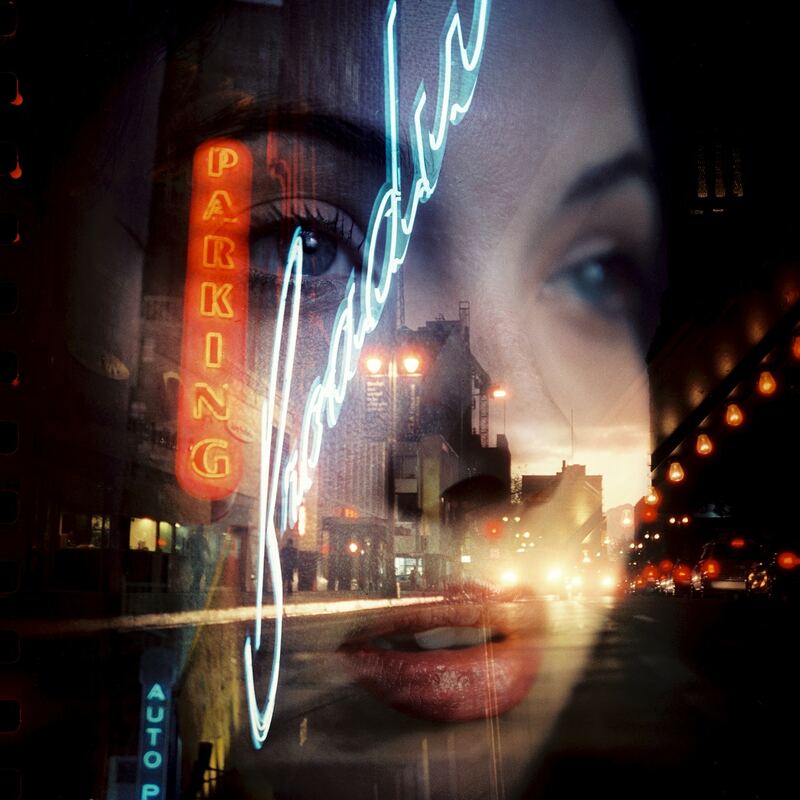 Thanks for the really nice piece, EMULSIVE. I am glad to hear you like the film. 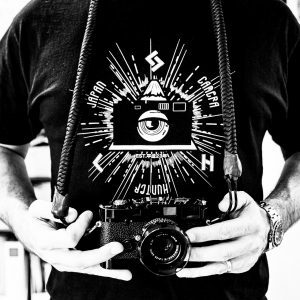 Check out the EMULSIVE site, an excellent film resource. 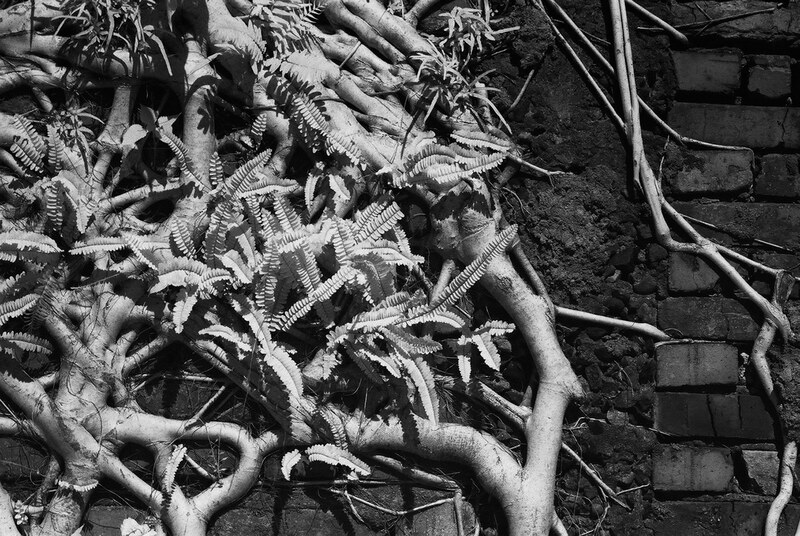 Had shoot that Rollei IR400 with a 715nm filter both with a Nikon F4 and a Leica M7. Shooted the filter range for test and found out the IR715 filter needs 4 f-stops more than without filter. Both cameras measured “good exposure” with the filter. Shooting with the Leica is real fun. Screw the filter on and shoot…. Had with good lighting around 1/60.